Citing issues with turbine blades in the engines, a number of international carriers are grounding some of their fleet of Boeing 787-9 Dreamliners, just in time for the busy holiday travel season. Of the flight to Tokyo, an Air New Zealand spokesperson said “[The] damage sustained on Tuesday suggests an engine part has traveled through the engine,” according to Newsroom.co.nz. 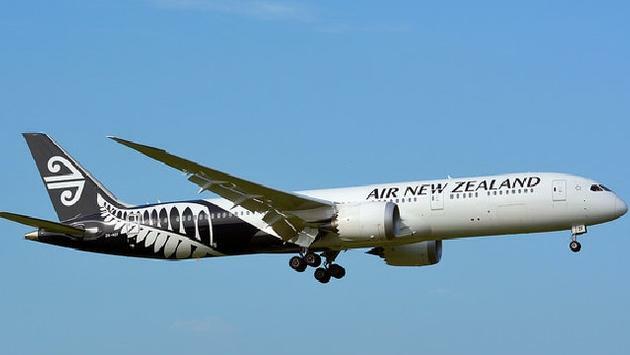 Air New Zealand has opted to ground two additional 787s while New Zealand’s Accident Investigation Commission investigates the in-flight incidences, effectively leaving the carrier down four aircraft. Delays and cancellations from the reduced fleet could last for weeks, according to The Independent. In London, British Airways has also grounded one flight per month, from Heathrow to Doha, as it reviews its own Dreamliner fleet. “Like several airlines around the world, we are carrying out detailed precautionary inspections on Rolls-Royce Trent 1000 engines which are fitted to our Boeing 787s, as part of the engine manufacturer's long-term maintenance and service program,” said a British Airways representative in a statement to The Independent. While BA’s Doha flight is normally serviced by a 777, that aircraft has now been deployed elsewhere to make up for the shortfall as the 787s undergo inspection. Delta Air Lines, a part owner of Virgin-Atlantic, is offsetting some of the travel inconveniences as it picks up a number of the airline’s flights to Atlanta and JFK. According to the Independent, Virgin Atlantic plans to take ownership of several new Airbus A330s early next year, after it which it will resume its normal flight schedule. Issues with the Rolls Royce engines have dated back for more than a year. In the summer of 2016, a Rolls Royce engine on a 787 operated by All Nippon Airways exploded just as the aircraft was preparing to take off. An Air Asia 787 aircraft also had to abort a trip mid-flight in August of this year, also due to severe shaking in the engine. In August, Rolls-Royce told investors it would have to replace engine parts sooner than expected. READ MORE: Why Will the New Air Force One be a 747 and Not a Dreamliner? While the current issues are related to the Rolls Royce engine, the situation brings more bad news for the Dreamliner, which also saw issues with its General Electric-designed engines in early 2016. In April the FAA sent an airworthiness directive, requiring “urgent fixes” on General Electric engines on the 787 due to “heavy fan blade rubs” caused by ice in the engines. The directive affected about 176 Dreamliners at nearly 30 airlines around the world.